When I visited the Paris last year, I scheduled one day for the Disneyland Paris Resort. I certainly wanted more, but within the timeline of my overall European vacation, the most I could really afford was one day, because I was unwilling to take away additional days from exploring the city. 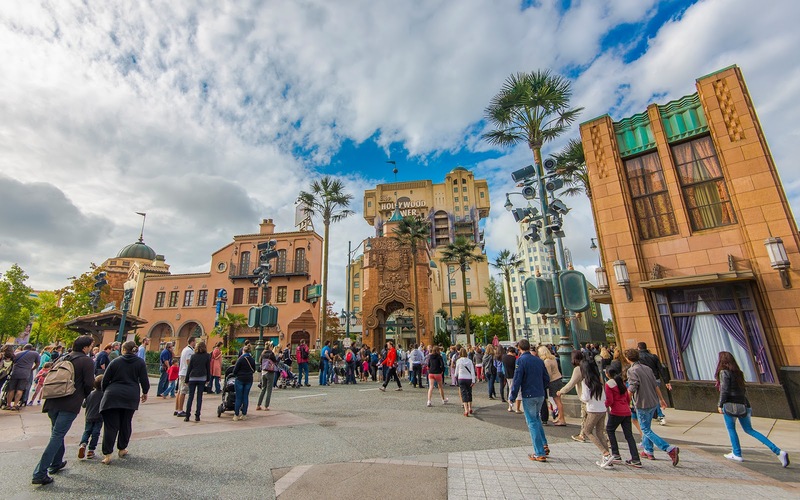 And despite having only one day, I wanted to explore both Disneyland Park and Walt Disney Studios, ride all the major attractions, AND get a good collection photos to stock up for this blog! Clearly, I created a big challenge for myself. 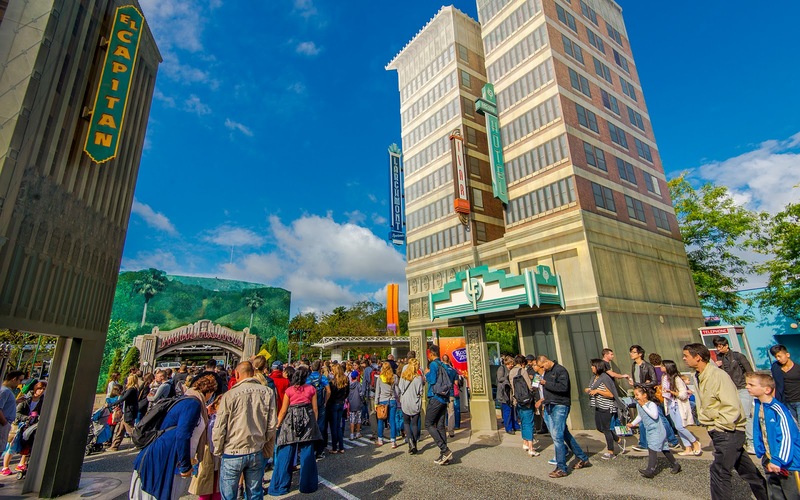 Entering Walt Disney Studios at park opening, and the crowd already forming to wait for the new Ratatouille mini-land, located inside the Toon Studios portion of the park. 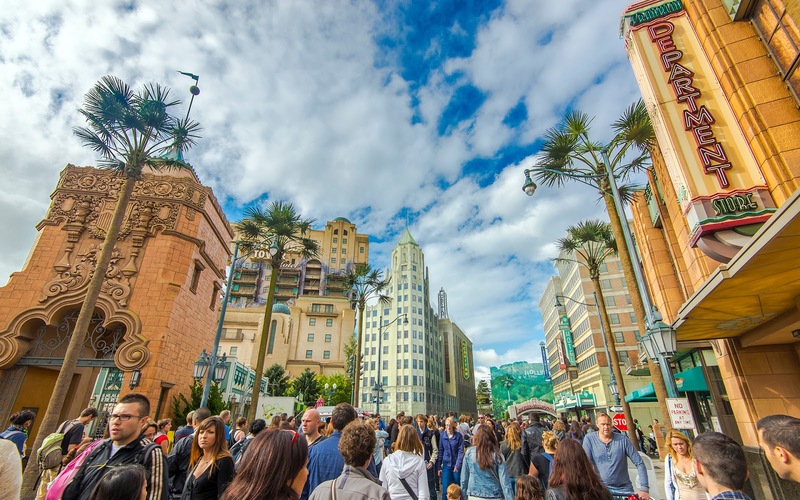 I had to be strategic, so my thought was to enter Walt Disney Studios first, conquer all the attractions withing a few hours, then spend the rest of the day in Disneyland Paris. The catch was deciding which WDS attraction I should target first to spend my time most efficiently. One of the most popular rides in the park is Crush's Coaster, with consistently long lines due to a combination of its popularity and low capacity. And then there was the new Ratatouille ride, within the new Ratatouille mini-land, which had just opened a couple of months prior. It may seem like this crowd is heading straight toward the middle of the park, where the movie tram ride is located, but no, that's not quite the case. Against the advice of my friends, I opted for Ratatouille. And that's when I ran into the line... snaking all the way from the mini-land, located on the far right corner of the park, out to the heart of Walt Disney Studios, just off the entry that was the Frontlot sound stage. As it turned out, I should have just gone to Crush's Coaster, did a single rider, then come and wait for Ratatouille, because the land didn't open until an hour after park opening. But at least I had a chance to take a few shots of the Production Courtyard? Oh well. I ultimately ended up having a great day and accomplished pretty much everything I set out to do. But it certainly didn't seem promising initially, when I arrived! Instead, all of these folks are waiting for the Ratatouille mini-land to open, so that they can check out the park's latest attraction!